GrubHub Seamless merger a boon for consumers who could never recall which was which. 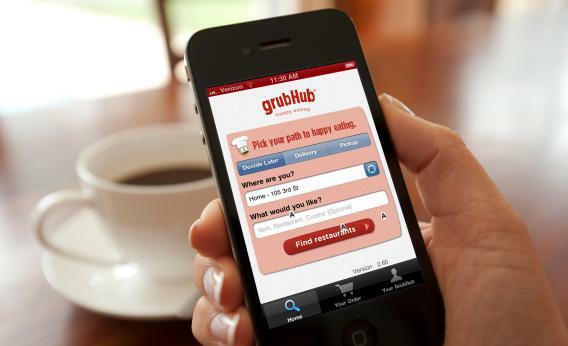 Seamless and GrubHub are combining to create a seamless grub hub. Seamless, the online-food-ordering service, is merging with GrubHub, the other online-food-ordering service, the companies announced today. One was based in New York and offered online ordering from more than 12,000 restaurants. The other was headquartered in Chicago and offered online ordering from more than 20,000 restaurants. * Other than that, the chief difference between the two—as far as I can tell—was their names. Also, one made fun of a Gawker writer’s dead cat. Together they will form a seamless grub hub serving more than 500 U.S. cities. The financial terms of the agreement were not disclosed, and apparently the new company has not yet settled on a name. It is fair to assume, however, that LessGrub is out of the running, because that is the opposite of what it will offer. The deal is subject to regulatory approval and may draw a little scrutiny since the combined company will tower over competitors such as Delivery.com, ChowNow, Munchery, and eat24. No, I did not just make up all of those names. I looked them up on TechCrunch, where Rip Empson has a thorough analysis of the deal for anyone hungry to read more words about it. I for one welcome the merger, since I am quite sure that I have given my name, email, and credit card number to either Seamless or GrubHub at some point but frankly have no idea which one it was. Correction, May 20, 2013: This blog post originally transposed the number of restaurants for which GrubHub and Seamless offer online ordering. GrubHub offers it for more than 20,000 restaurants, Seamless for more than 12,000.